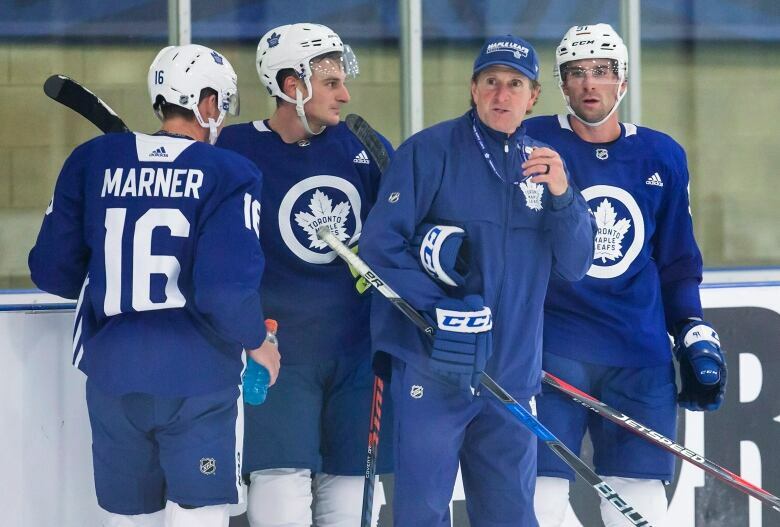 The Maple Leafs held their first on-ice sessions at training camp Friday, including a scrimmage that began with John Tavares, who signed a $77-million US contract with the franchise he cheered for as a kid, and Auston Matthews, Toronto's young phenom, facing off to get things started. John Tavares had his shot thwarted in close before a speedy solo effort at the other end of the rink seconds later from Auston Matthews was also turned aside. 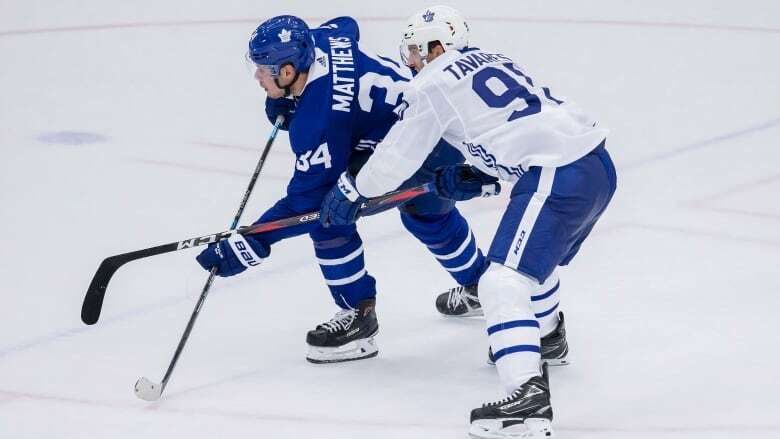 Toronto held its first on-ice sessions at training camp in Niagara Falls Friday, including a scrimmage that began with Tavares, who left the New York Islanders to sign a seven-year, $77-million US contract with the franchise he cheered for as a kid, and Matthews, Toronto's young phenom, facing off to get things started. Another fact was that Matthews' hands looked to be in mid-season form on a slick shootout deke — the so-called "no-move" perfected by Tampa Bay's Nikita Kucherov where a player tries to deceive the goalie with his a series of manoeuvres before allowing the puck to slide harmlessly into the net.